With a stay at Hôtel de La Herse d'Or, you'll be centrally located in Paris, within a 5-minute walk of Canal Saint-Martin and Rue de Rivoli. 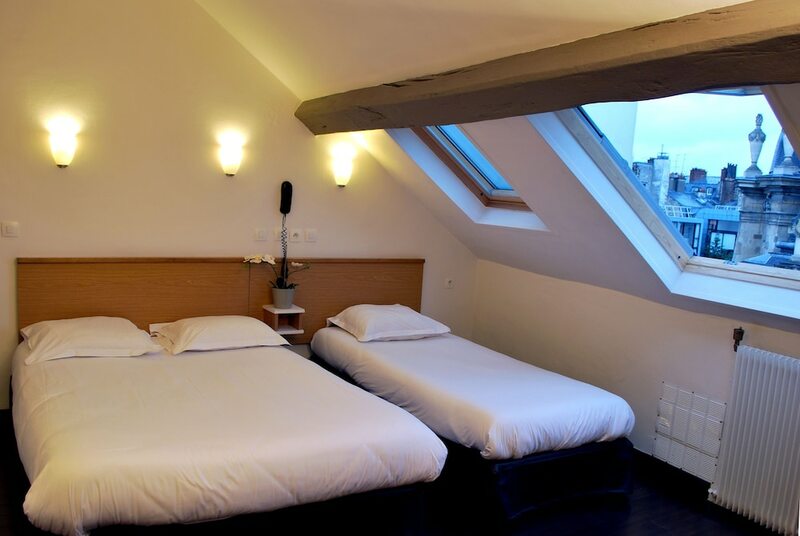 This hotel is 0.3 mi (0.4 km) from Opera Bastille and 0.2 mi (0.4 km) from Place des Vosges. Stay in one of 29 guestrooms featuring flat-screen televisions. Complimentary wired and wireless Internet access is available. Bathrooms have complimentary toiletries and hair dryers. Conveniences include phones, as well as desks and complimentary newspapers.